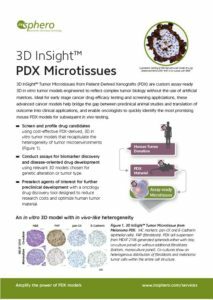 3D InSight™ Tumor Microtissues from Patient-Derived Xenografts (PDX) are custom assay-ready 3D in vitro tumor models engineered to reflect complex tumor biology without the use of artificial matrices. 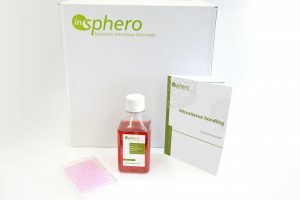 Ideal for early stage cancer drug efficacy testing and screening appliciations, these advanced cancer models help bridge the gap between preclinical animal studies and translation of outcome into clinical applications, and enable oncologists to quickly identify the most promising mouse PDX models for subsequent in vivo testing. 3D InSight™ Tumor Microtissue from Melanoma PDX IHC markers: pan-CK and E-Cadherin (epithelial cells), FAP (fibroblasts). PDX cell suspension from MEXF 2106 generated spheroids either with (top, co-culture panel) or without additional fibroblasts (bottom, monoculture panel). Co-cultures show an heterogenous distribution of fibroblasts and melanoma tumor cells within the entire cell structure. 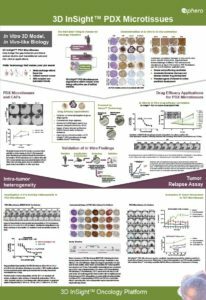 We can produce microtissues using PDX material from the Charles River Laboratories PDX model compendium or other PDX suppliers. Histological correlation of in vivo and ex vivo tumors. 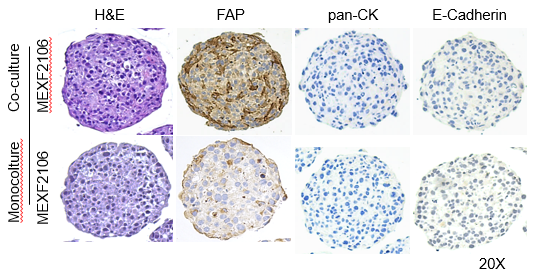 Immunohistochemistry assessment of 3D microtumors confirmed the resemblance with their respective PDX tumor models. 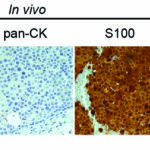 Here, in vitro and in vivo models are negative for all epithelial markers and positive for the melanoma-specific marker S100. 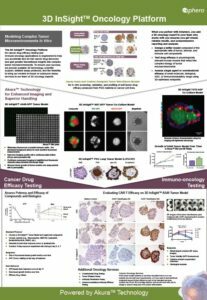 with the 3D InSight™ Oncology Platform.